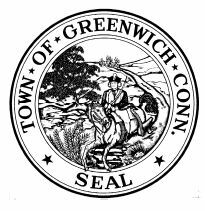 The Greenwich BET has released the new tax rates for 2013 – 2014 and they are up less than 3%. The sewered area of the town pays 11.311 mills per thousand dollars of value up 2.8% from 11.000 mills. The unsewered rate, mainly the 2 and 4 acre zones, is now 10.675 from 10.39 for the last tax year.The Bridgeport Board of Realtors sent out the tax rates for the towns in their area and the differences are surprising. In Fairfield and Shelton the tax rate is about double. In Newtown it’s close to triple and Bridgeport itself is 3.7 times the Greenwich mill rate.Greenwich traditionally has the largest grand list so we are lucky in that we can have the lowest tax rate even with a town budget over $400 million.Now the actual taxes you pay are based on the Assessor’s version of FMV for your house times 70% times the tax rate adjusted back to the last revaluation. As a result the taxes paid for similar houses on similar lots in different towns are not as different as the mill rate might suggest. Even so a Greenwich house will often pay less in taxes, be worth more and get more services. Just to further complicate things the revaluation years for most of the towns are different. Stamford is doing their delayed revaluation now so its base year is different from Greenwich’s 10/1/2010 revaluation date. I was recently looking at houses in Stamford around $1 million and even though the listing prices were close, the taxes varied by almost 100% from the lowest tax to the highest tax. Many of these difference will disappear in this revaluation as the Assesor’s value from many years ago gets adjust to today’s fair market value. Good schools bring in the younger families and the low tax rates bring in retirees who no longer are getting the high compensation they were getting when they worked.